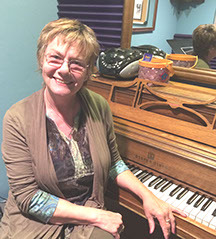 Nancy teaches student of all ages in voice, beginner guitar &piano. Her instruction includes all aspects of music including music theory, ear training, as well as rehearsal and performance techniques. Nancy is proficient is all styles of music including jazz, folk, rock, blues and pop. She has taught as an adjunct professor at the college level and works well with beginners to advanced students. Nancy is a friendly and outgoing instructor who strives to make learning music an enlightening and enjoyable experience. Chie began learning classical piano at the age of 7 in Kobe, Japan, where she was born as a third generation Korean. She came to the U.S. in 1994 to attend college. She pursued music and finished her Bachelor’s degree at Sonoma State University. Later Chie took private instruction and mastered classical vocal technique. She also obtained a College Level Certificate of Merit as a Pianist through the Piano Teacher’s Association. Chie has been teaching voice and piano for about 10 years. She is passionate about teaching music and desires for the study of music to be a joyous experience, not frustrating, as it sometimes can be. Thanks to her own experiences, she is able to show patience and compassion while skillfully meeting the needs of the student. She sincerely believes that each student has a unique gift and it is the teacher’s delight to help it grow. Chie is an active performing artist, but her true passion is writing music. She writes songs in English and Japanese and in November of 2011, self produced her first solo album entitled, “Sand Castle”. 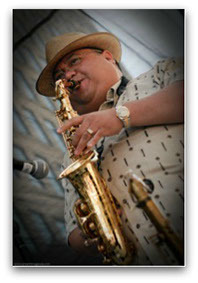 Jonathan Bautista is a Bay Area saxophonist, composer and educator. Born and raised in San Francisco, he attended the SF School of the Arts, San Jose State University and the Manhattan School of Music for graduate work. Jonathan received honors as a California Arts Scholar, California Pre-Doctoral Scholar and was awarded scholarships from the Organization of Filipino educators, SJSU school of music, and the Manhattan School of Music. He has played in Paris for a special concert and has also performed at the San Jose Jazz Festival, the Stanford Jazz Festival, the SF Filipino Jazz Festival, and at the Great American Music Hall, Davies Symphony Hall, Kuumbwa and Kimble’s. Jonathan has played with James Williams, Pete Escovedo, John Santos, and others, as well as with the Monterey Bay Symphony, the Monterey Wind Symphony and the San Jose Symphony. He has studied both classical and jazz repertoire with Melecio Magdaluyo, William Trimble, Dr. Paul Cohen and Bobby Watson. Jonathan performs regularly throughout the Bay Area and is available for clinics, coaching, and lessons in his woodwind studio. Jonathan plays and teaches woodwinds specializing in saxophone, clarinet, flute as well as piano. Jonathan is trained in both classical and jazz repertoire and is equally accomplished in both. He also teaches music theory, jazz harmony, improvisation and is comfortable with all musical levels and ages. In addition to private lessons, Jonathan offers group classes including beginning woodwind ensemble, jazz combo and saxophone ensemble. He has taught at San Jose State University, the SF School of the Arts, the Jazz School in Berkeley, Redwood Middle School in Los Gatos, and schools in the Santa Clara Unified School District and San Jose Unified School District.